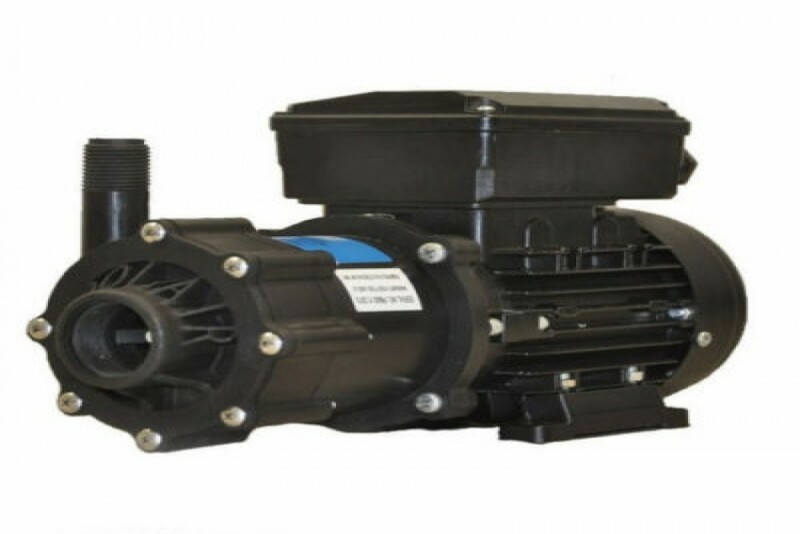 The KoolAir TPM1000-115/230 Magnetic Drive Pump is most commonly used for marine air conditioning sea water circulation. The KoolAir TPM1000 115/230 Volt Magnetic Drive Pump is most commonly used for marine air conditioning sea water circulation. Replaces March AC-5C-MD 11V & 230V. 1"FPT Inlet 1/2"MPT Outlet, Nylon (Front & rear Housings) Ceramic Shaft and Washers, Ceramic Magnet 17 GPM @ 27 ft Head with Run Dry Protection. 1/8 HP TEFC 115/230 volt 50HZ / 60HZ Non-Submersible Motor.